This Veterans Day holiday, the contractor that has built what will soon become the new USS Little Rock is hoping to build excitement for what will be the first-ever commissioning of a Naval vessel next to its decommissioned counterpart. Lockheed Martin is creating the Freedom Class of Littoral Combat Ships, which includes the new Little Rock. Representatives of the aerospace, defense, and security company are in Western New York for the Buffalo Renaissance Foundation's Veterans Day lunch, and are hoping local people with an interest in military matters will become increasingly excited in advance of the new USS Little Rock's commissioning next year. The LCS9, which next year will become the new USS Little Rock, is currently undergoing testing in Lake Michigan. The ship will be formally commissioned in Buffalo some time in mid 2017, next to the decommissioned USS Little Rock. 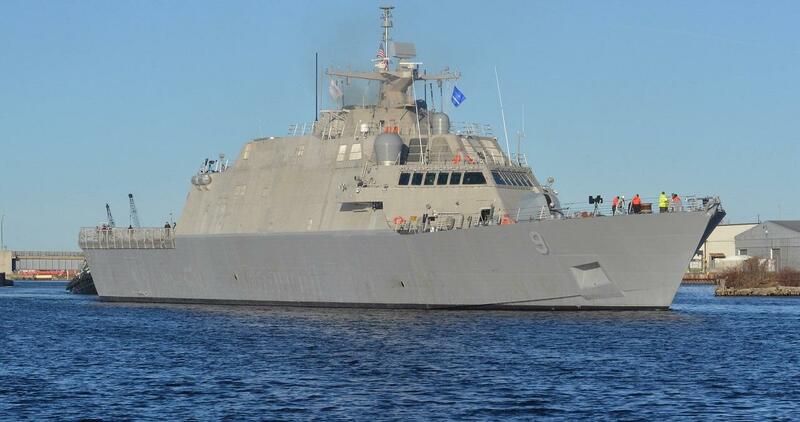 The new LCS 9 has already been built and launched, and is undergoing tests on Lake Michigan. "The ship is actually out on trials now for the first set of tests,” said Lockheed Martin spokesman John Torrisi. “We do many sets of tests. We build these ships in Wisconsin, so we actually have the ship out, running its paces before we have the Navy do that." The ship features a helipad, ample space to reconfigure as the mission requires and, through a combination of gas, diesel and water propulsion systems, the ability to travel more than 40 knots in open water. The vessel also features a steel hull with aluminum superstructure and could hold a crew of 50 to about 90 people. And, according to Torrisi, it was relatively inexpensive to build. 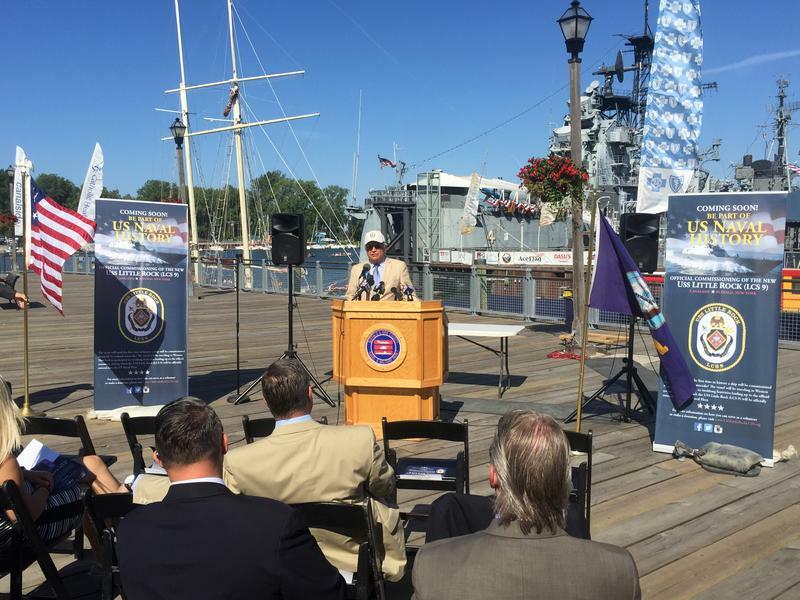 The Navy has not yet set a date for the commissioning ceremony at the Buffalo and Erie County Naval and Military Park, but it's anticipated to be some time in mid 2017. The original USS Little Rock has been a key waterfront attraction since arriving in Buffalo shortly after being decommissioned in 1976. 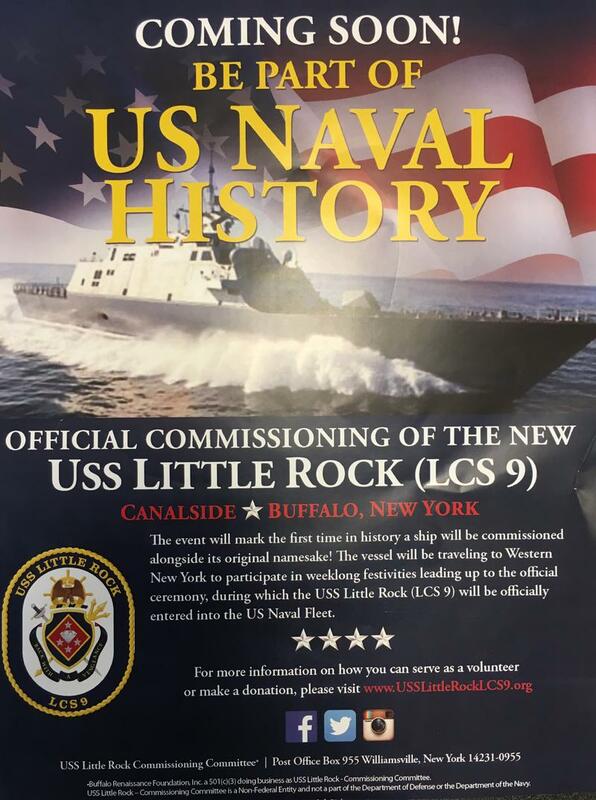 Next June, the new USS Little Rock will visit Buffalo’s inner harbor to be commissioned alongside its namesake. An historic event is in the works for the USS. Little Rock at the Buffalo & Erie County Naval & Military Park. They came from more than two dozen nations around the world. 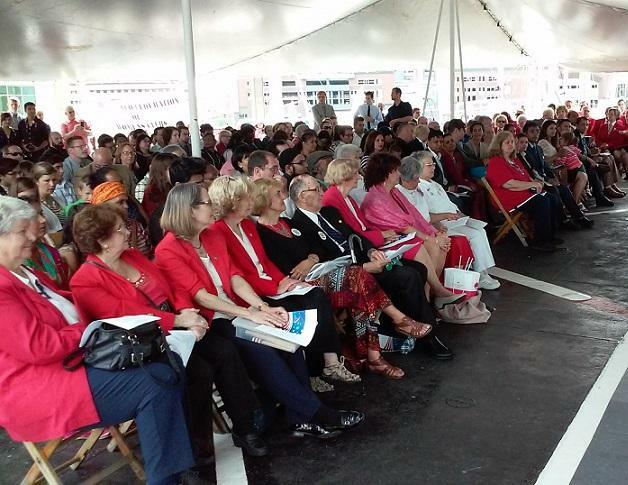 Following a Thursday morning ceremony at the Buffalo & Erie County Naval and Military Park, 53 people are now officially citizens of the United States of America.